After years of hard work and rigid schedules, you’ve earned the chance to rest and relax. To enjoy an impromptu cocktail party at your clubhouse. To take a mid-morning yoga class at your on-site fitness center. To indulge in a late-afternoon stroll along community tree-lined walking trails. And best of all, to form lasting friendships along the way. 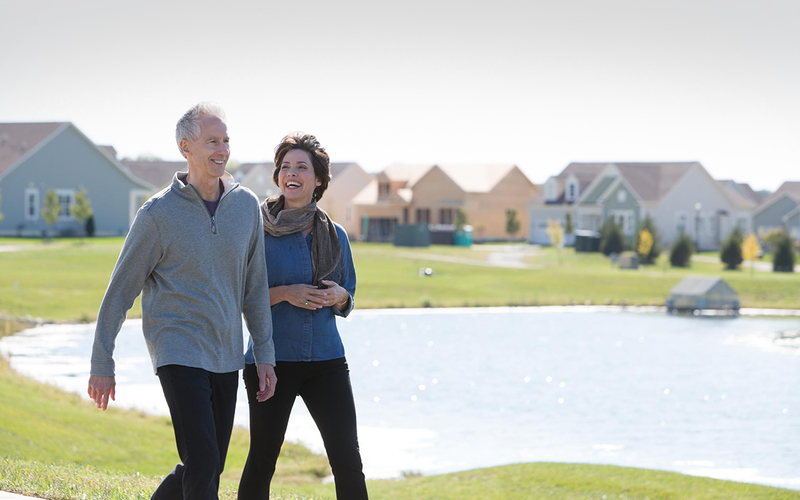 This new chapter of your life awaits at The Ponds at Bayberry. Through our thoughtful, homeowner-centric product development process, we craft award-winning homes that combine cutting-edge features and layouts with energy-efficient construction. And with our expansive selection of options and finishes that we continually add to based on the latest styles, you can effortlessly make any Blenheim Home uniquely yours, whatever your style. Our approach to home design is unique and personal. We ask ourselves dozens of questions about our future homeowners, how they live and what’s important to them before setting about crafting innovative homes, beautiful community spaces and stunning architecture, just for them. We use premium materials and construction practices because we care about protecting their investment. And our work has been celebrated widely by the homebuilding industry, where we have won dozens of awards over the past 35 years.